It still amazes me how many hobbyists forgo primer and will instead either paint directly on the surface, or will use a matte spray paint as their base coat. I’m no expert. I can’t tell you the exact science of what makes a primer effective at what it does, but I can tell you that it does make a difference. The short of it is that it adheres better to your models than normal paint, and it also gives you a better surface to paint on. 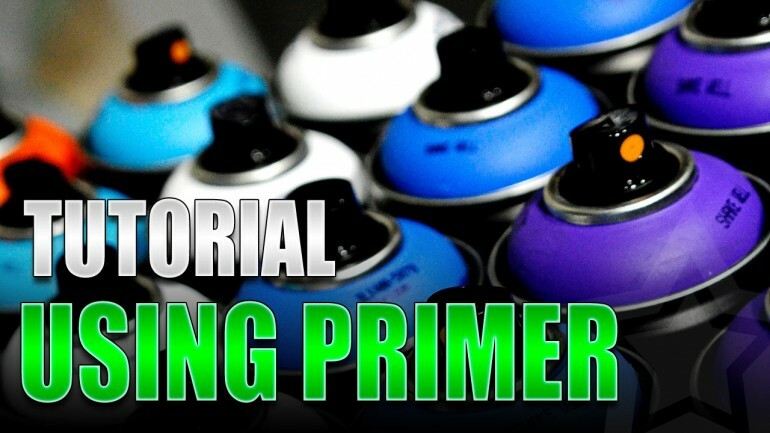 Primers are created to stick to the surface you’re spraying and to receive paint. It is its job. By not using a primer you are only hurting yourself. Your paint is less likely to stick to the model, and in turn more likely to come off either through handling, or by dropping the model. This is especially true on metal models. Oh god, if you don’t prime a metal model first then your paint is not staying on there at all. Trust me. Most of us seal our models. Sealing helps protect all the work you’ve done. Still, even a sealed model can take damage. If you didn’t prime the model then it’s way more likely to chip down to bare metal/plastic than a model that is primed; even if it’s sealed. See, if that first layer of paint is not adhered well to the model (no primer was used), then the impact of a model falling will cause that first layer of paint to loosen up and chip. However, if you used a primer then the paint is stuck on there well and it’s way less likely to chip off. Do yourself a favor, prime your models. 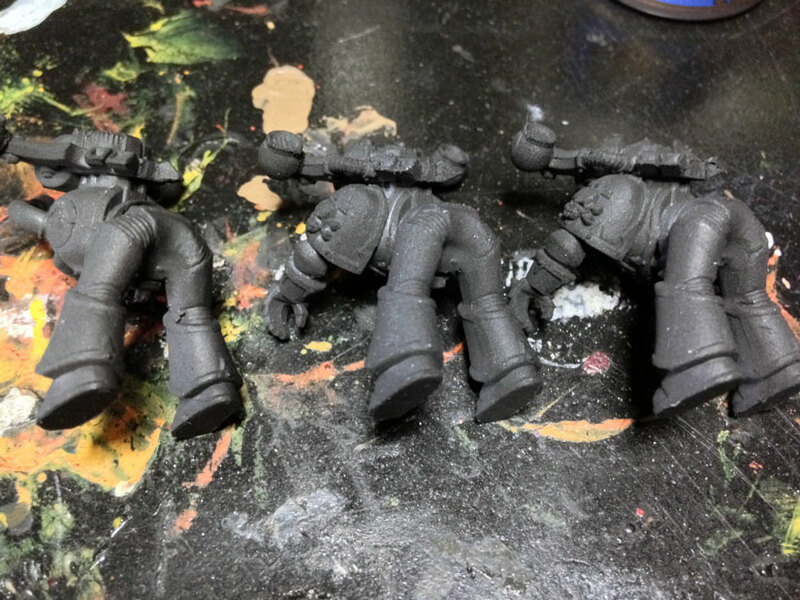 Not priming models is one of the most common mistakes new painters make. So what primer should you use? I prime all my stuff in black, and so my experience has been pretty much in that area alone. Also note, I’m in the United States. So, access to some of the items mentioned are subject to your location. The first one I used that I liked was by Armoury. Armoury went out of business years ago though, but you can still find it at some gaming stores. It’s a bit pricey, but it’s a larger can and it goes on well. I have used Dupli-Color, which is an automotive primer, and had great success with it. They have a bunch of specialty ones so be careful what you get. I used their sandable primer, basically their run of the mill one. Don’t get their filler primer or anything like that, bad things will happen. Dupli-Color also has their primers in white, that lovely rust red color, and gray. My experience with Dupli-Color was that the first half of the can is perfect. It goes on as it should and creates a great surface to be painted. That first half of the can is probably the best primer I’ve used ever. The second half of the can? Yeah, that’s the problem. It seems no matter how much I shake the can, how often, the temperatures, and humidity I work at, the second half of the can goes on watery and coverage is terrible. So, a bit of a mixed bag there. For a good many years I used Krylon’s black primer and had very good luck with it. The problem I had was that it’s on the expensive end of things. However, I never had any issues using Krylon. It sprayed well, adhered well, and didn’t wear off. I’d definitely recommend this one. What I’m currently using is Brite Touch. It’s another automotive primer and also by Dupli-color, but a different version. This one works great. The Brite Touch I’ve been using for a few years now. Like I said, I liked Krylon but it was getting too expensive. When I couldn’t justify the cost for a can for Krylon, I started looking at primers again. I found this one at an automotive store for less, tried it, and haven’t looked back since. 1. Shake the living hell out of the can. You want to spend around 30 seconds shaking the can before you use it. 2. One of the biggest issues people run into with a spray primer is by spraying too far away from the miniature. If you’re too far back spraying then what happens is the spray starts to dry in the air before it hits the model. The dried spray hits the model and leaves a fuzzy coating on there. I do have a trick for dealing with that though. Fuzziness from the spray drying before hitting the model. So, you want to remain around 12″ to 10″ from the miniature when you’re spraying. If you’re too close then it will pool up on the model, and too far will cause the drying/fuzzy issue. 3. When you’re spraying, start the spray beside the model so the spray doesn’t hit the miniature. Drag the spray over the miniature and stop spraying when the spray is no longer on the model, like how you started. Just one swipe like this. Doing this will avoid the primer building up where you start and where you end with the spray. Dave from Wargaming Tradecraft has a great little video showing what I’m talking about. A little tip is to attach your models to a stick or piece of wood. You can do this using Blu Tack easily. By attaching the model to something like a stick, you can turn the model as you’re spraying to make sure you cover it from every angle. It’s hard to do that when the miniatures are standing on a box or something. I admit that I don’t airbrush, so my suggestions are based on the experience of other hobbyists. I’ve heard great things by fellow hobbyists about a primer from Badger. Zab mentioned it below in comments, and Shaun on Facebook also suggested it. Thanks for the tip, guys. Also, and you’ll see this one below in the brush-on primers too, is the Vallejo primer. It’s a brush-on primer, but of course you can use it in an airbrush as well, which is what Cylde does. There’s a few options available for brush-on primers, but I only have experience with one of them. There is a Citadel one called Imperial Primer. I use this from time to time to do spot priming, like if I missed a spot spraying, or I have to repair damage. To that end it works pretty well. However, for covering an entire miniature I would not recommend it. I find it separates too much. You have to shake the hell out of the pot, and stir it around, just to get something halfway decent for coverage. Often you’ll be doing two coats as well, which I’m not a fan of. It’s useful to have on hand, but I do not recommend doing full models with this. Another option, not one I’ve used by one another author here has, is Gesso. It’s an acrylic primer used by canvas painters, but I know Kamui (author here) has used it with great success. I do know it’s super affordable, and a nice feature is you can add a drop of paint to the Gesso to create a colored primer. Another option, which I know virtually nothing about, is from Vallejo. The only reason I’m mentioning it is to give another option, and I’m a big fan of Vallejo products in general. Anyway, it’s a brush-on primer at a great cost, so it’s worth checking out. At the end of the day, there’s a lot of worthwhile primers you can find at varying prices. The point is to make sure you’re using one. Seriously. If there’s one piece of painting advice I can give anyone it’s to use a primer. The second piece would be to seal your models after. If you do those two things then you’re going to have models that will last you forever. 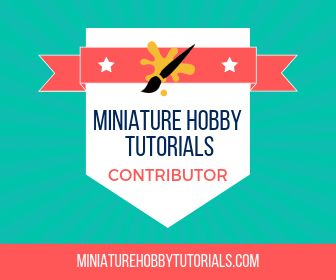 If you’re a new hobbyist, and are looking for other supplies you need, then definitely check out our article on essential miniature painting supplies. A single can of Krylon lasts for a lot of models around here, so that’s what I use. I used to use a mix of black craft paint and glass/tile medium, but that was more trouble than it was worth, especially on vehicles. Any sort of brush-on primer I see as being used as a last resort. I do like Krylon, but I’m saving around $2 a can with Brite Touch and still getting great results. There was a time when I was priming a lot of models and that $6 a can was adding up quick. Still a great choice regardless though. Krylon’s Fusion and Camo lines also function as primer. I really like them, and I know a couple of pro painters who swear by them. Amazon says they’re like $7, but I’m pretty sure I’m not paying more than 5 at my local Ace. Haven’t bought one in a while because I generally don’t prime in winter, so not completely sure on that, tho. The only issue I have with the Fusion line is making sure I grab the matte instead of the satin. It’s an easy mistake to make, and I’ve seen things labeled “gloss” that were less shiny than that satin. Oh, and I have a buddy who hand-primes everything with Imperial Primer. Works for him apparently, but everyone else thinks he’s nuts. I do really like it for times when I’m doing something like breaking off an arm/weapon and replacing just that one bit, tho. Whatever works. I’m like you though, I’ll use it for small stuff only. Badger is the best brush on/ airbrush primer i have ever used. Worth it’s weight in gold and unlike vallejo it is sandalbe if you weren’t through with your prep. Great post. I usually use Vallejo Primer. Normally a grey one, but don’t mind using browns or bone if required. The brush-on one that I mentioned or a different one they have? Yes, but i airbrush it. One thing I’d recommend when priming with spray paint is to stand the can in hot water for 10 minutes. The paint flows much better when it’s been warmed up and I’ve found it eliminates any problems when spraying in cold weather. I’ve never had to do that, but it makes sense if you’re stuck doing it in colder than ideal temps. Good tip! It mixes easier in the can and you don’t need to dislocate your shoulder shaking it up as much ;-) . Sometimes it can take several shakes before the can starts to rattle. If it has been in hot water for 10 minutes it rattles immediately and the paint viscosity is much improved. It goes on so much smoother that I always warm the can up now, even when the weather is warm outside. I always warm the can up, too, but I usually just keep it under my armpit for the duration of an episode of something on Netflix or Hulu. I’ll have to try the hot water, see if the extra heat makes a difference in the cold weather. People don’t prime their models still? Damn! Amazingly, yes, some people still do not prime their stuff. Literally 10 minutes ago I was checking out a site and someone was saying they just brush on white craft paint; no primer – white craft paint. It makes me cringe every time I see stuff like that. One of the things that I’ve found has made the biggest difference to my success in priming is attaching the Models to some sort of stick or rod with tape or blu-tac or whatever rather than putting them on an upturned box. It makes it way easier to get all angles while still keeping the spraycan upright the whole time. Haven’t had issues priming even in somewhat sketchy weather since I started doing that. Good call. I started doing that a few months ago and I agree, it just makes life easier. I’ll add that in here.